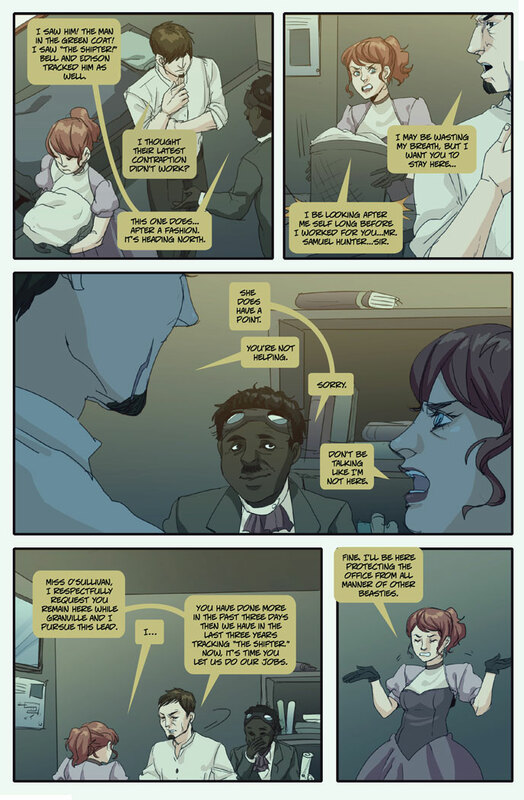 Things heat up at the office on this new page of Boston Metaphysical Society. Next on the schedule is the San Diego Comic Fest on October 17-19 at the Town and Country Hotel. I will be on a steampunk panel and my husband will be on the JPL/NASA panel. More details on that next week. Kickstarter Stuff: I’m still waiting on a few addresses before I ship out the tea. Most of you who pledged for the steampunk ring will probably receive that shortly if you haven’t already. Emily has the script and now I’m waiting for her to clear her schedule to start working on Chapter 5. Once I have some art, I will post sample panels.